Giving a word of thanks to those who came out for the lecture and book signing at the Batesville, Mississippi, Public Library last Thursday. Thanks so much for coming. It was great, and we had a ball! The audience thought the woman in the drawing behind me was following me with her eyes throughout the presentation. A new stalker, perhaps? Photo by “The Panolian” newspaper (www.panolian.com). With some Batesville-area Bell family descendants. Photo by “The Panolian” newspaper (www.panolian.com). 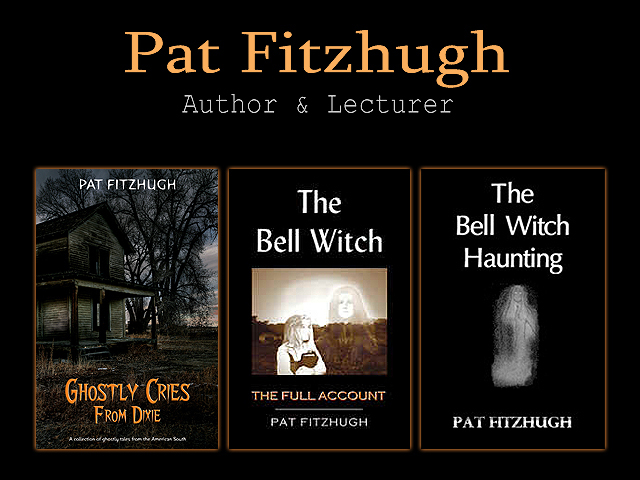 Posted in Author Appearances, Bell Witch, folklore, Ghosts, legends, Mississippi, Storytelling, Witches and tagged author appearances, Bell Witch, ghosts, haunts, legends, mississippi, paranormal, storytelling, witches on April 26, 2015 by Pat Fitzhugh.